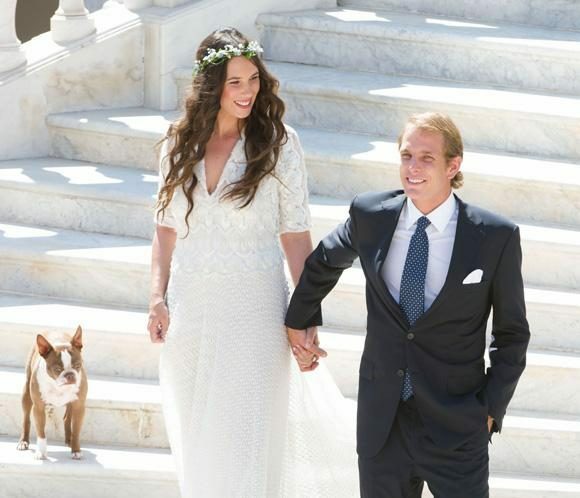 Andrea Casiraghi, Princess Carolina of Monaco’s eldest son and the second in line of the Monegasque throne married Tatiana Santo Domingo in a private Monte Carlo ceremony. Tatiana, the daughter of the late Julio Santo Domingo, once the richest man in Columbia, met Andrea through his sister, Charlotte while studying in Paris. 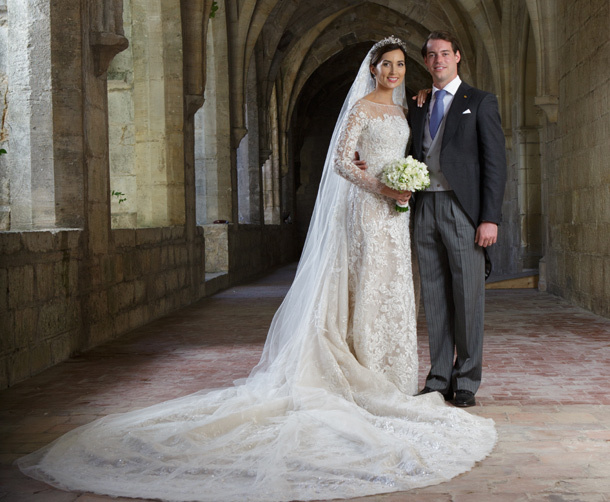 The couple already has a 5-month old son called Sacha. 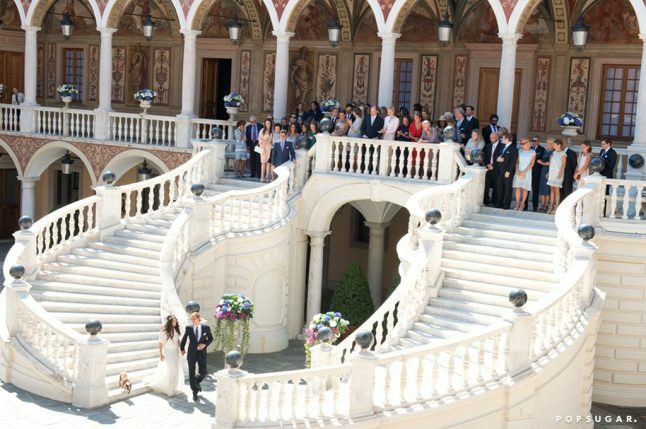 Tatiana was the ultimate bohemian bride in an embroidered V-neck Ivory three quarter length sleeve gown designed by her best friend Margherita Missoni. 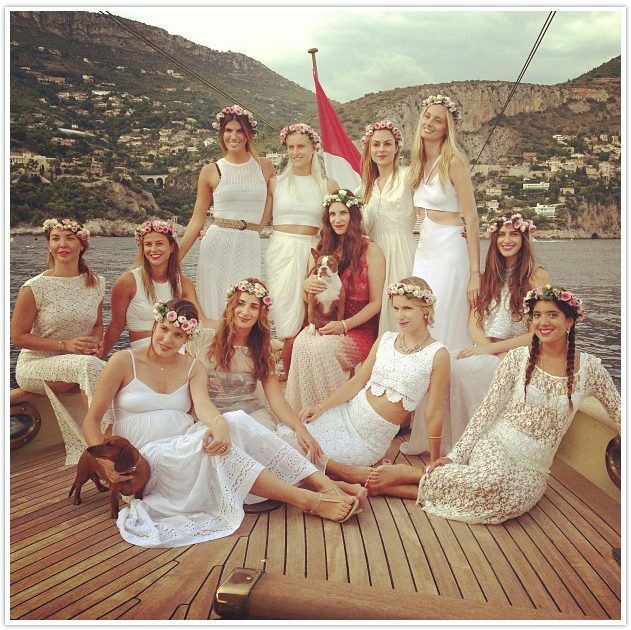 Tatiana and her bridesmaids all wore Missoni gowns and floral garlands to the pre wedding dinner party that was held on Princess Caroline’s luxury yacht Pacha lll.